Like a bottle of Château Pétrus (2005), French car company, DS has the ability to charm and impress, to seduce and overwhelm. Founded in Paris, DS was officially created to re-establish the tradition of premium vehicles in the French automotive industry. Designed for customers looking for a means to express themselves as individuals, the DS range combines exceptional styling, sensations and refinement with premium materials and advanced technology. DS continues to build on this legacy with the introduction of the Divine DS, a showcase for the design language of future models from DS Automobiles. The striking ‘DS Wings’ signature at the front is set against a contrasting diamond pattern on the grille. 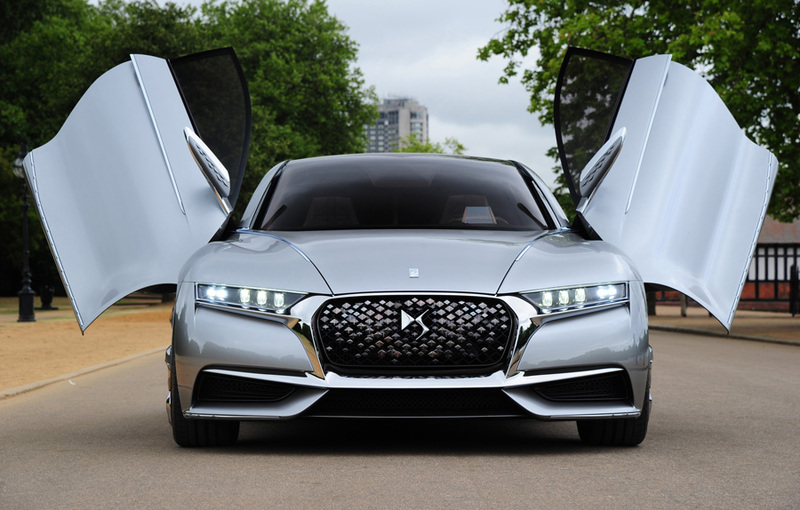 This diamond pattern is repeated as a theme throughout – from the unique roof design to the modular rear lights – representing the brand’s ‘spirit of avant-garde’ design philosophy that sets all DS models apart. The cabin of the DS illustrates the brand’s focus on refinement and attention to detail. Full-grain aniline leather upholstery is patterned with a unique version of the iconic DS ‘watch-strap’ seat design. The modular interior provides the ultimate in personalization with three interchangeable interior ambiences, each with its own unique style. There are crystals from Swarovski on the door panels and dashboard, and embroidery from Lesage as part of the interior trim to bring haute-couture levels of sophistication and quality to the cabin. 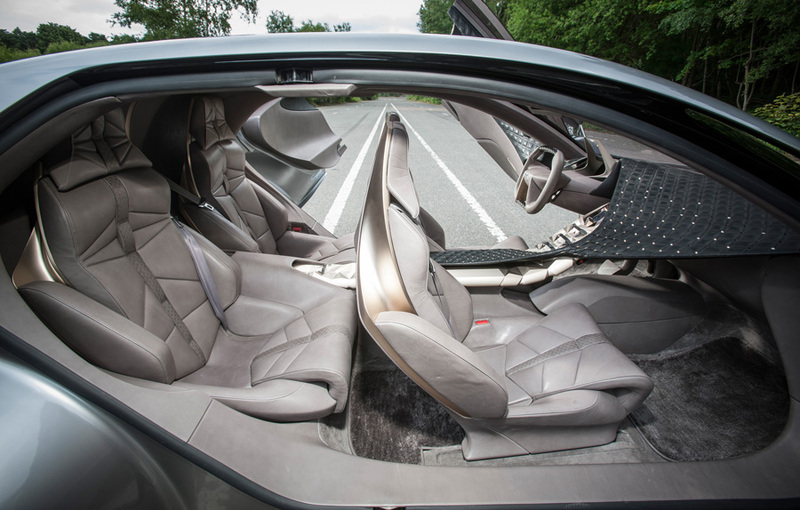 The Divine DS concept also features advanced, experiential technologies, such as DS LED vision headlights and sequential indicators, as well as a bold high-tech cabin that includes a fully-digital interface comprising a holographic head-up display and a 10.4 inch HD touchscreen. 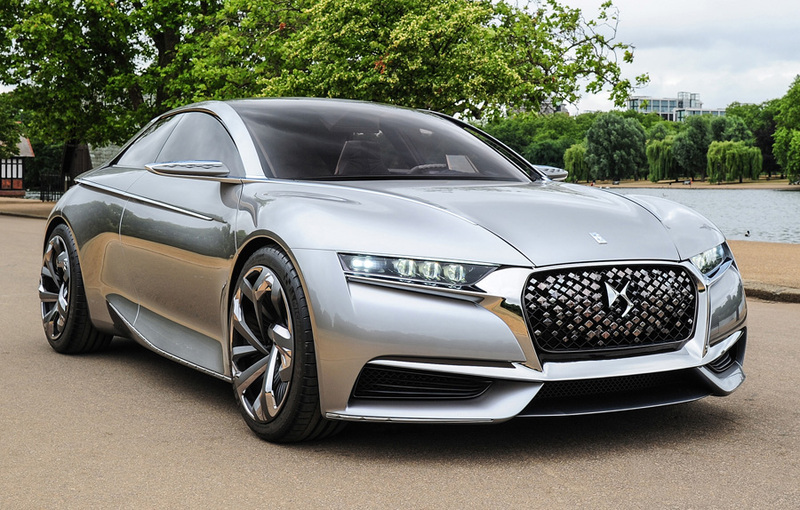 This car not only stands out from the ordinary, but it also represents an exciting vision of the future for DS Automobiles. Vive la France!